SMS Advertising is most cost Effective,Fastest & Simplest way to reach out to your target audience anywhere in India.Bulk SMS service allows you to send Text message to thousands or even lakhs of mobile phones with easiest way while managing the entire process right from the Web interface. 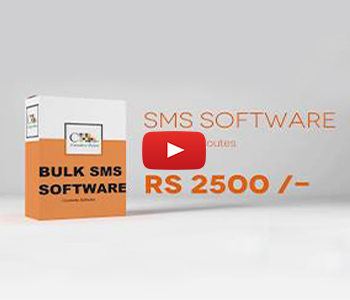 Creative point SMS software will let you to send Alerts, Notifications,Due alerts, Reminders,Announcements, alerts,Reminders,Announcements,promotions,social and Political campaigns. Mobile Marketing is the only Marketing Medium that creates a personal channel enabling spontaneous,Fast,direct,Interactive and Targeted communication any time ,any place. Creative Point is Head Quartered at Coimbatore and provide services to Tirupur,Erode,Salem,Pollachi, Karur,Namakkal,Chennai and all over India.